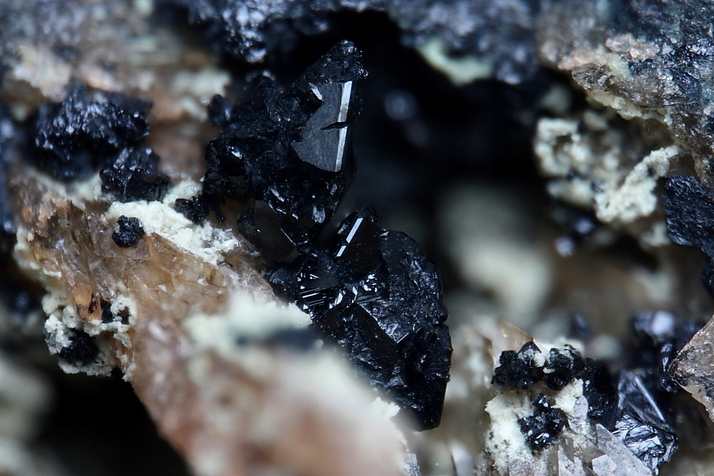 Barbosalite: Mineral information, data and localities. 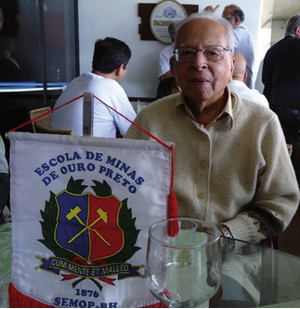 Named by Marie Louise Lindberg (Smith) and William T. Pecora in 1955 in honor of Brazilian geologist Aluízio Licínio de Miranda Barbosa [July 3, 1916 Alto Rio Doce, Minas Gerais, Brasil - September 23, 2013 Brazil], emeritus professor of geology of the School of Mines at Oro Preto, Minas Gerais, Brasil. Hureaulite 22 photos of Barbosalite associated with Hureaulite on mindat.org. Phosphosiderite 20 photos of Barbosalite associated with Phosphosiderite on mindat.org. Strengite 9 photos of Barbosalite associated with Strengite on mindat.org. Tavorite 7 photos of Barbosalite associated with Tavorite on mindat.org. Pyrite 7 photos of Barbosalite associated with Pyrite on mindat.org. Rockbridgeite 3 photos of Barbosalite associated with Rockbridgeite on mindat.org. Mitridatite 1 photo of Barbosalite associated with Mitridatite on mindat.org. Frondelite 1 photo of Barbosalite associated with Frondelite on mindat.org. Jahnsite 1 photo of Barbosalite associated with Jahnsite on mindat.org. Triphylite 1 photo of Barbosalite associated with Triphylite on mindat.org. 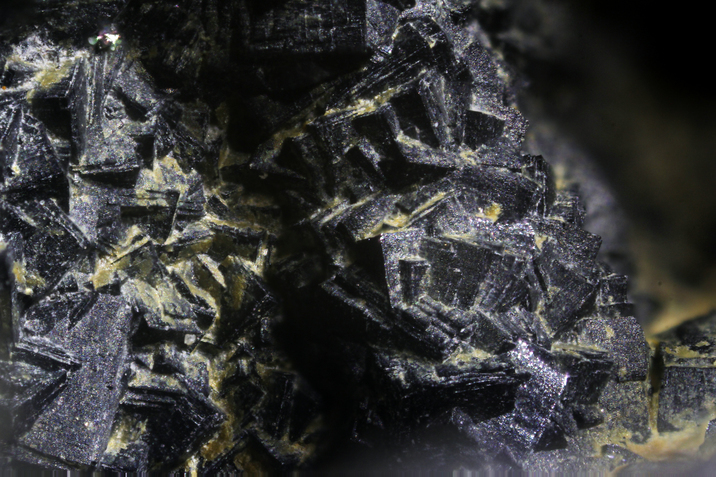 19.13.8 Ferristrunzite Fe3+Fe3+2(PO4)2(OH)3 · 5H2O Tric. 19.13.9 Ferrostrunzite Fe2+Fe3+2(PO4)2(OH)2 · 6H2O Tric. Lindberg, M.L. and Pecora, W.T. (1955) Tavorite and barbosalite, two new phosphate minerals from Minas Gerais, Brazil. American Mineralogist 40: 952-966.
ⓘ El Criollo Mine ? Science (1954): 119, 739.; Lindberg, M.L. and Pecora, W.T. (1955) Tavorite and barbosalite, two new phosphate minerals from Minas Gerais, Brazil. American Mineralogist 40, 952-966. Atencio, D., Coutinho, J.M.V., Mascarenhas, Y.P., Ellena, J. (2006): Matioliite, the Mg-analog of burangaite, from Gentil mine, Mendes Pimentel, Minas Gerais, Brazil, and other occurrences. American Mineralogist, 91, 1932-1936. Škoda, R., Staněk, J., Čopjaková, R.: Minerální asociace fosfátových nodulí z granitického pegmatitu od Cyrilova u Velkého Meziříčí, Moldanubikum; část 1 – primární a exsoluční fáze. Acta Mus. Moraviae, Sci. geol., 2007, 92, 59-74. Dill, H.G., Weber, B. (2009), Pleystein-City on Pegmatite, 4th International Symposium on Granitic Pegmatites, Recife, Brazil. 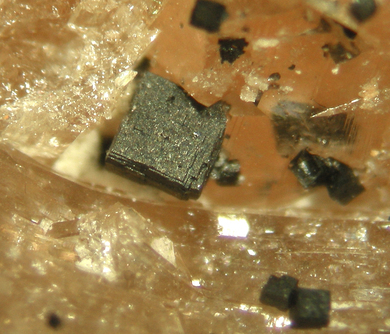 Von Bezing, L., Bode, R., and Jahn, S., (2008) Namibia Minerals and Localities. Edition Schloss Freudenstein, Bode Verlag GmbH, Haltern. 409 (in English). P. Keller and O. von Knorring, Eur. J. Mineral. , 1989, 1, pp. 567-593. Roda, E., Fontán, F., Pesquera, A., & Keller, P. (2001). Phosphate mineral associations of the Aldehuela de la Bóveda, Li-Sn-Nb+-Tb bearing pegmatite, Salamanca, Spain: . In Mineral Deposits at the Beginning of the 21 st Century. Proceedings of the Joint sixth Biennial SGA-SEG Meeting (pp. 477-480). Encarnación Roda-Robles, Alfonso Pesquera (2007) Locality no. 4: The Phosphates-Rich Cañada Pegmatite (Aldehuela de La Bóveda, Salamanca, Spain) in ALEXANDRE LIMA & ENCARNACIÓN RODA ROBLES ed (2007) GRANITIC PEGMATITES: THE STATE OF THE ART - FIELD TRIP GUIDEBOOK. MEMÓRIAS N. º 9, UNIV. DO PORTO, FACULDADE DE CIÊNCIAS, DEPARTAMENTO DE GEOLOGIA pp 67-72. Robles, E. R., Fontan, F., Pesquera Pérez, A., & Keller, P. (1998). The Fe-Mn phosphate associations from the Pinilla de Fermoselle pegmatite, Zamora, Spain: occurrence of kryzhanovskite and natrodufrénite. European Journal of Mineralogy, 155-168. [Elton, N. J. (1998): Barbosalite, frondelite and other phosphates from Gunheath China Clay Pit, St Austell, Cornwall, England. Journal of the Russell Society 7, 15-18. Mineralogical Record: 17: 237-254; Rocks & Minerals: 60: 117. American Mineralogist (1984): 69: 380-382. Lane, M.D., Bishop, J.L., Dyar, M.D., King, P.L., Parene, M., Hyde, B.C. (2008) Mineralogy of the Paso Robles soils on Mars. American Mineralogist, 93 (5-6), 728-739.